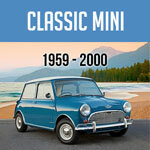 Mini Mania Parts Catalog includes most of all the Imperative parts a Classic Mini owner could ever want. 88 pages of full color with part numbers. Not every race track gets its start in the ruins of a lost track home community. Meet the Portland International Raceway (PIR) in Portland Oregon. PIR hosts a variety of race events including: bicycle races, car shows, drag racing, sports cars and motorcycle road racing, motocross, IndyCars, GT Cars and more. To celebrate the 60th anniversary of the Mini Cooper let’s have a history lesson on the life of this iconic motor vehicle that has been a major part of the culture and lifestyle of its adoring fans. We asked New MINI, Classic Mini, Morris and Sprite/Midget car owners what color their car is. Find out if your car's color is in the top three! All eyes will be on the 60 Year Edition MINI, a model very similar to the 2019 F55 and F56. When fitting aftermarket, or custom wheels, you should check for any clearance issues.Rubbing, or Incorrect fitment will wear out your tires, and cause other suspension components to fail or wear prematurely. C-GSA200 Front Tube Shock Conversion Kit Installation Inst. Mini Mania is here to give you the best tips winter preparation tips for your Classic Mini Cooper. Whether you plan on driving or putting it into storage. The MiniMania Engine Shop will be doing extensive work on this amazing little Austin Mini Cooper S Mark 1 car including engine, interior and body work. Already a looker, this Mini is sure to turn heads once it leaves our expert mechanics here at Mini Mania. 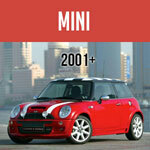 Carburation and Interchanges	, What is the correct carburation that you should use on a Mini? Many options can be used, from SU, single, duel, and Weber. Did you know that Mini Mania has over 40+ years of experience in building and racing?At Mini Mania we specialize in engine rebuilds, taking your beloved Mini from street to race. Mini Mania provides unparalleled performance and reliability. Sprite & Midget Motors - Off the Rack or Built to Suit! Choose from our base motors or add any options to meet your needs. 5-speed transmission, performance camshaft, cylinder head upgrade, hi-lift rockers -- the sky is the limit! When you apply the brakes, you feel a pulsation through the brake pedal and even the steering wheel. You wonder how the brakes and steering are interconnected and what is causing the pulsation. How can it be prevented, and how can it be corrected? And most important, is it a safety issue?The cause o..